Governor Mike Pence is a lifelong Hoosier with legal, small business and policy experience. He was elected the 50th Governor of the State of Indiana in 2012 and inaugurated January 14, 2013. Governor Pence is dedicated to continuing Indiana on a pathway to success through fiscal responsibility, economic development and educational opportunity for every Hoosier child. Since taking office in 2013, Pence has achieved the largest state tax cut in Indiana history while also lowering the business personal property tax and corporate income tax to strengthen the state’s competitive edge in attracting new investment and good-paying jobs for Hoosiers. He has expanded school choice, increased educational opportunity for Hoosier families by signing into law the first State funding for pre-K education in Indiana, and addressed Indiana’s skills gap by making career and technical education a priority in every Indiana high school. And, because roads mean jobs here in the Crossroads of America, under his leadership the state has invested more than $800 million in new money for roads and bridges in Indiana. The Governor has worked with the Indiana General Assembly to craft an honestly balanced budget that maintains strong reserves for the State and continues to generate a surplus. This fiscal discipline has helped Indiana maintain its AAA credit rating and earn a global reputation as a great place to do business. Governor Pence manages a State employee workforce of approximately 28,000 and a State budget of $30.6 billion. He oversees the duties of the executive branch as the state’s chief executive officer, recommends and reviews legislation with members of the Indiana General Assembly, and also serves as the commander-in-chief of the Indiana National Guard. Prior to being elected governor, Pence represented Indiana’s Sixth Congressional District in Congress. First elected in 2000 and earning a sixth term in 2010, Pence brought his Hoosier sensibility to the table and quickly established a record of serving his constituents and championing fiscal responsibility, smaller government and economic growth—skills and values he has brought with him to state government. 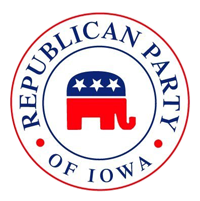 Pence’s leadership and legislative accomplishments resulted in him being elected unanimously by his colleagues to serve as House Republican Conference Chairman and Chairman of the House Republican Study Committee. A strong supporter of the military, Pence has made a priority of reducing veteran unemployment and, while in Congress, he visited Hoosier soldiers in Iraq and/or Afghanistan every year since hostilities began. 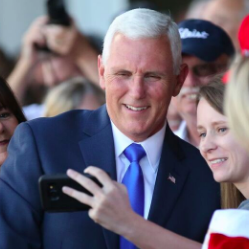 Pence was born and raised in Columbus, Indiana, graduated from Columbus North High School, went on to graduate from Hanover College in 1981 and earned his J.D. from Indiana University School of Law in 1986. Governor Pence and First Lady Karen Pence have been married since 1985 and currently live in the Governor’s Residence. They have three adult children, Michael, Charlotte and Audrey.